If you’re not paying absolute attention during the early stages of Red Dead Redemption – or maybe if, like me, you’re just not that au fait with the history of the Old West – it can be difficult to pin down the time period that you’re in. Horses? Check. Guns? Check. Cowboys? Check. It all seems like the basic constituent parts of a Western are in place so the date is pretty much an irrelevance, let’s get to the shootin’. As the game goes on though, whether through the dialogue, newspapers or the shock of seeing one of the new fangled automobiles, you realise that you’re actually in the early 20th century – 1911 to be exact. Of course, Red Dead is hardly a documentary and it’s set in the fictional area of New Austin, a US state on the border with Mexico. But like it’s sister Grand Theft Auto series, Rockstar’s game is very much about a real time period, a real location and the real-world America (not to mention Mexico). There’s a reason why the names of the countries have never been fictionalised in those games. One of the themes that becomes more prevalent as Red Dead progresses is the encroachment of civilisation and order onto the chaos of the West. 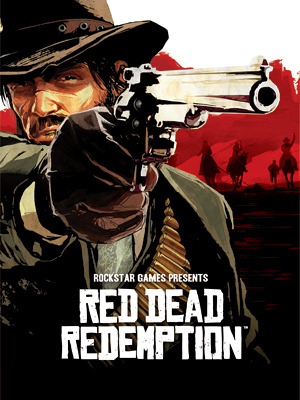 Our protagonist John Marston is the last of a dying breed as both a cowboy and an outlaw. Even though the player never ventures outside of the West it still becomes apparent, through visitors, newcomers and their attitudes, that the rest of America views them as a curio. The cowboy becomes labelled as a ‘noble savage’ in places and is increasingly lumped in with the Native American ‘Indians’ by the somewhat patronising heralds of progress. It’s an omen that foretells their marginalisation and eventual irrelevance.